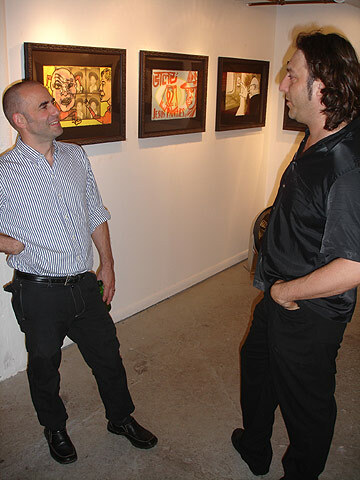 Aron Packer of Packer Schopf Gallery in Chicago, talks with David Leonardis just before the night's reception opened to the public. Mark Mothersbaugh has shown his artwork twice at Aron Packer's Chicago gallery the past. See show reports from 2003 & 2005.